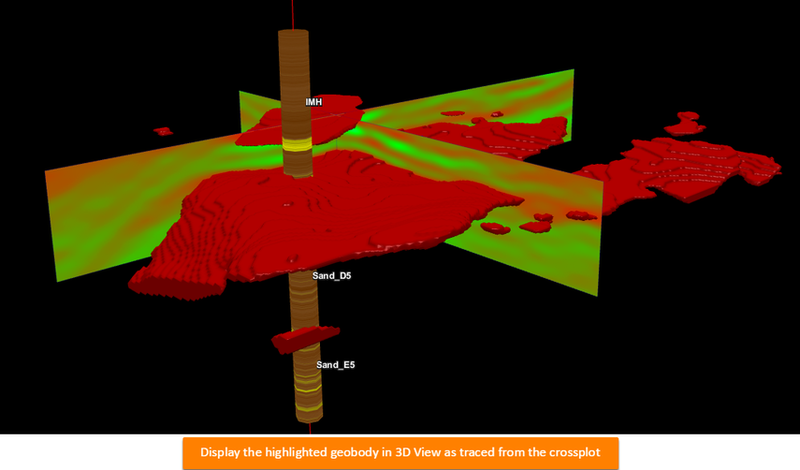 Create geobodies and highlights in section and 3D views by selecting points with polygons in the crossplot domain. Open an existing crossplot or create a new crossplot. Click the blue "+" icon to add a polygon. Export Volume: Export the geobodies as volumes (see Exporting volumes). 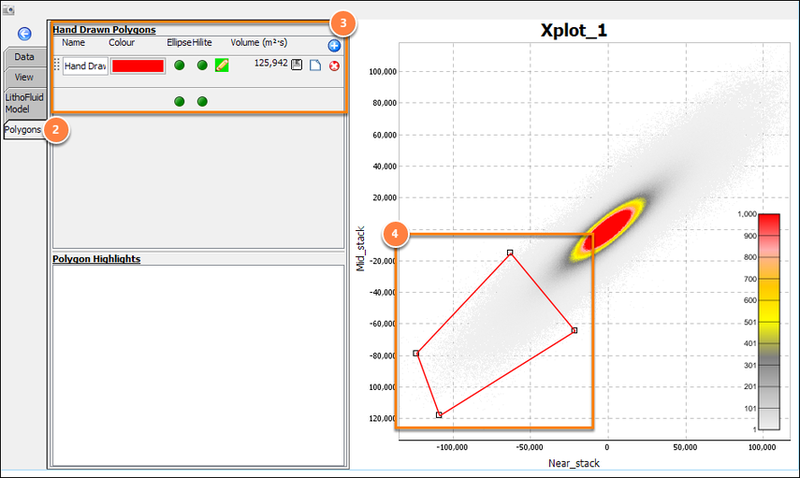 Export crossplot data: Export crossplotted polygon points as a .tsv text file. (with or without source coordinates). Red "x": Delete this polygon. Click the Pencil to start picking. Click in the Crossplot area to place points and define the polygon. Right-click on an existing point to remove. Click on existing point to move. Right-click or click the Pencil to stop picking. Adjust the display style of the polygon in the View tab (see Crossplot View Settings). Click the traffic light icons at the bottom to show/hide all. Note: Body detection areas and highlights are updated on-the-fly with changes to the polygons.